They look like that climbing or spreading daisy. Very pretty looking like this before the sun comes up! 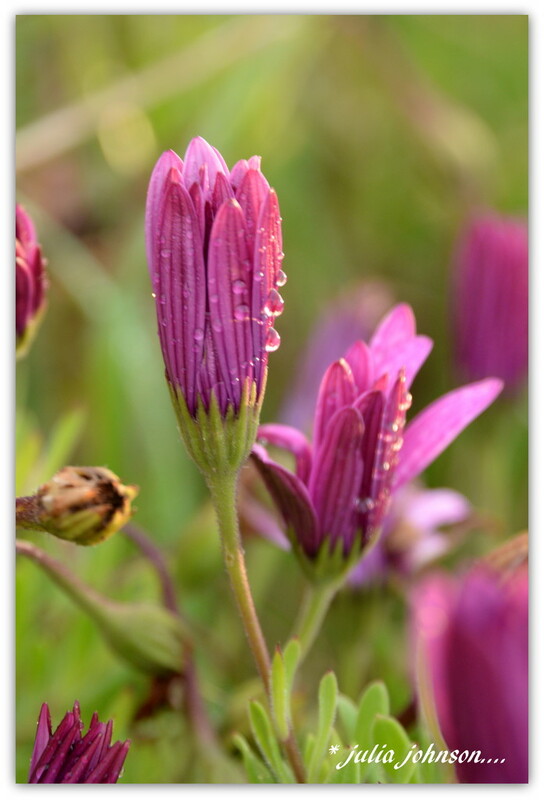 A lovely capture with fabulous colour and dewdrops, fav! I love the colour of these daisies, but they're too invasive for my garden. What a lovely surprise and wonderful closeup of these beauties. They are really pretty. Great capture. The DoF truly makes these look so gentle. Fav.